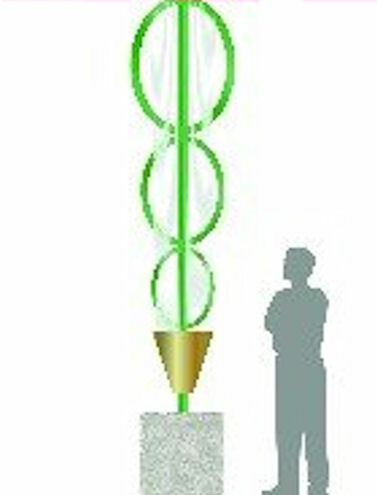 This design was a proposal for an Ohio hospital and a symbol for healing with green finish. UV resistant powder coat finish, mild steel construction, and 11’ tall. Call for a quote and you can revise to suit your location.